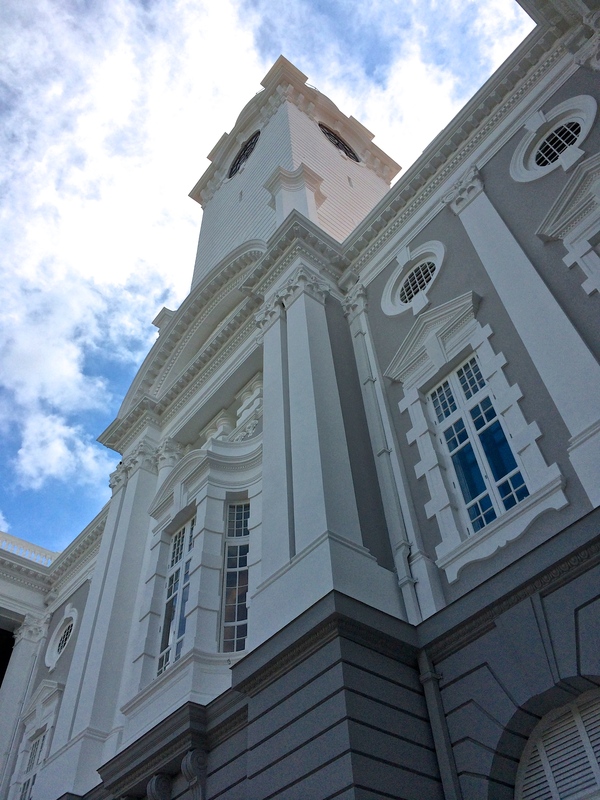 In 1855, the foundation stone for Town Hall was laid and its construction was completed in 1862. Between 1902 and 1905, Victoria Memorial Hall was built in honour of the late Queen Victoria when Singapore was part of the British Colony. In 1906, the construction of the 54-metre tall clock tower that links both buildings (Memorial Hall and Town Hall) was completed. In 1909, the Town Hall was converted into a concert hall. The first performance staged in the concert hall was The Pirates of Penzance. During the World War II, the buildings were occupied by the Japanese and served as a makeshift hospital. 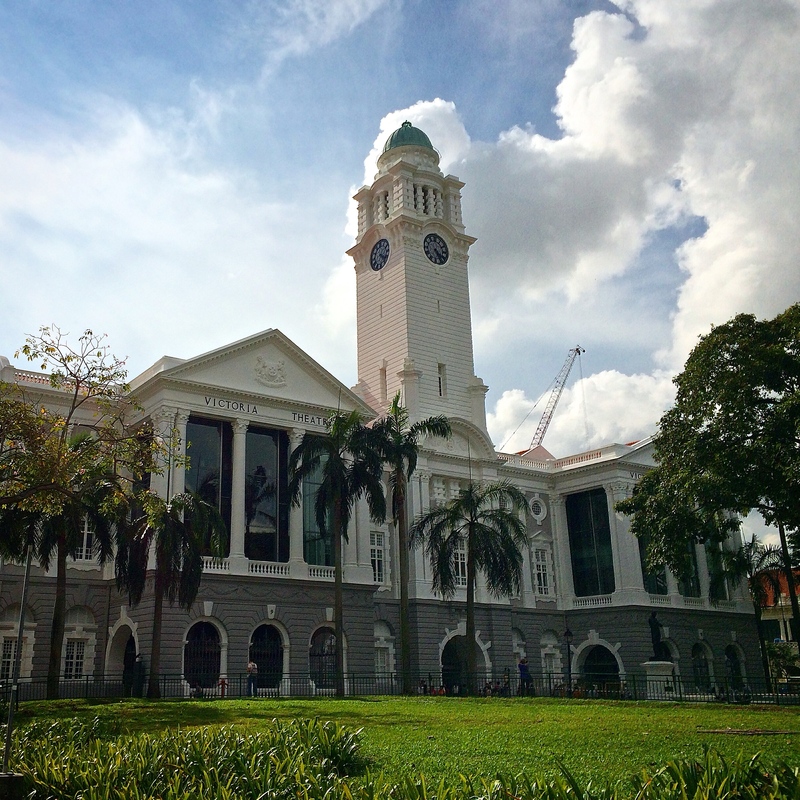 In November 1954, PAP’s (Singapore Government today) inaugural meeting took place in Memorial Hall. Victoria Theatre and Concert hall was closed for renovations in 2010. It was a S$180 million refurbishment designed by W Architects, and the architects were careful to maintain the exterior facade, but the interior was given entire new facelifts and designs. Many elements that belonged to the original 1905 was restored to its formal glory, and the central passageway between the theatre and concert hall is also reinstated. The Victoria Concert Hall, as known in short, is an icon representing our performance arts heritage. It is a public space well-loved by Singaporeans from all walks of life. 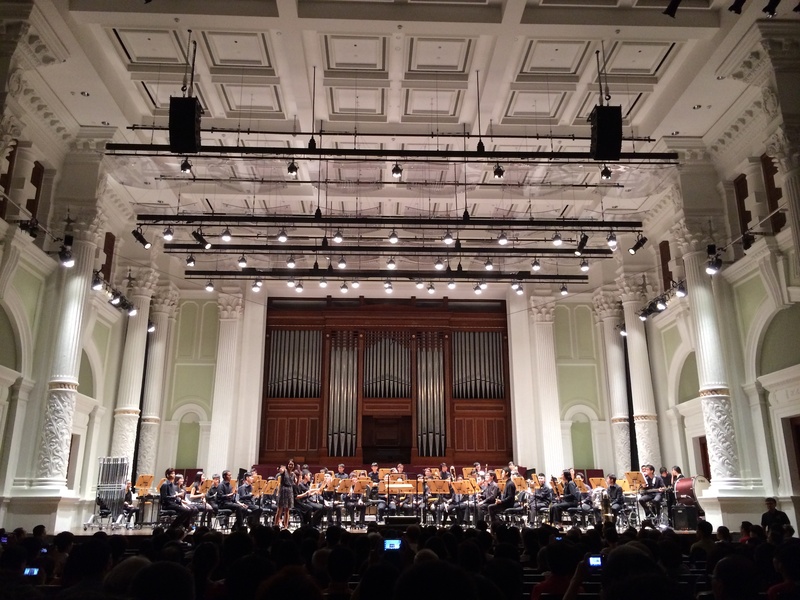 This concert hall is also a memorable place for many school students as many of them have performed in the concert hall for their performing arts CCAs and other arts events. After a four-year refurbishment, the old-world charm of the concert hall has been preserved, and with the modernising of the facilities, the return of the concert hall and theatre will definitely bring Singapore’s art and cultural landscape forward.